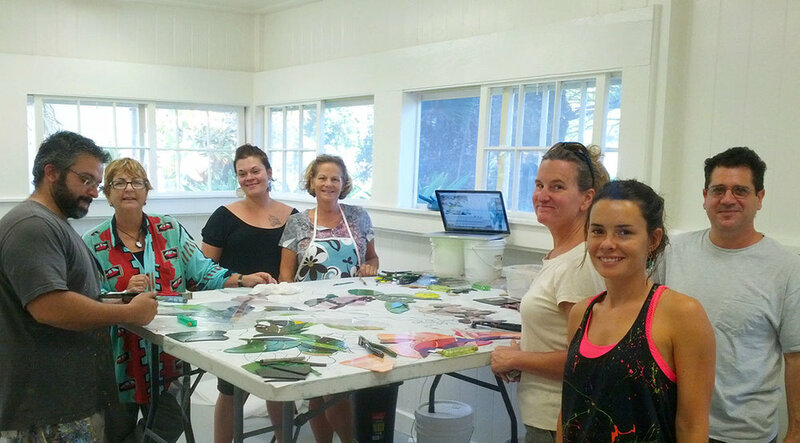 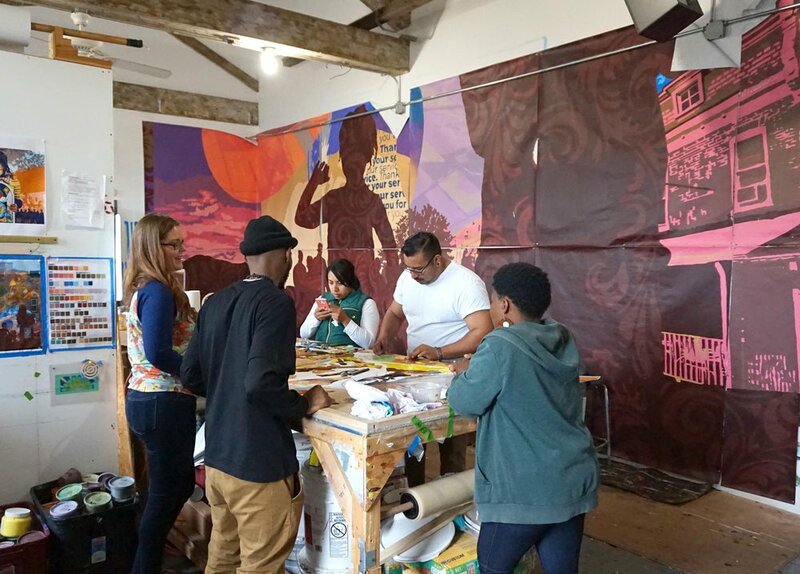 A unique part of the mural/mosaic making process that Eric employs includes extensive work in communities. 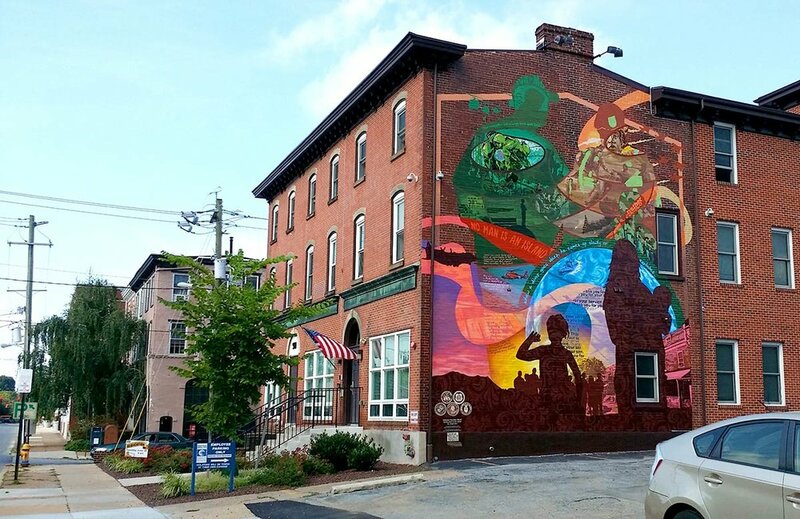 He has worked with communities such small neighborhoods in North Philadelphia, large non-profits as well as international city governments. 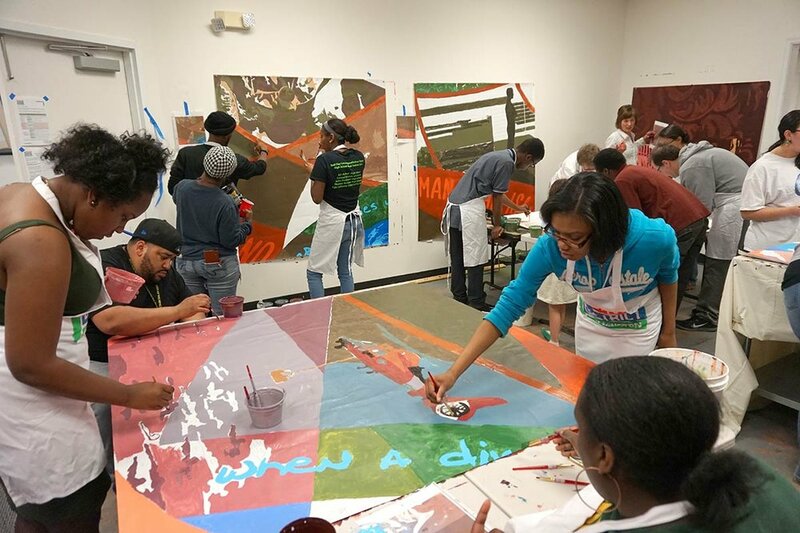 In each project, creating the framework for engagement is central to the success of the project. 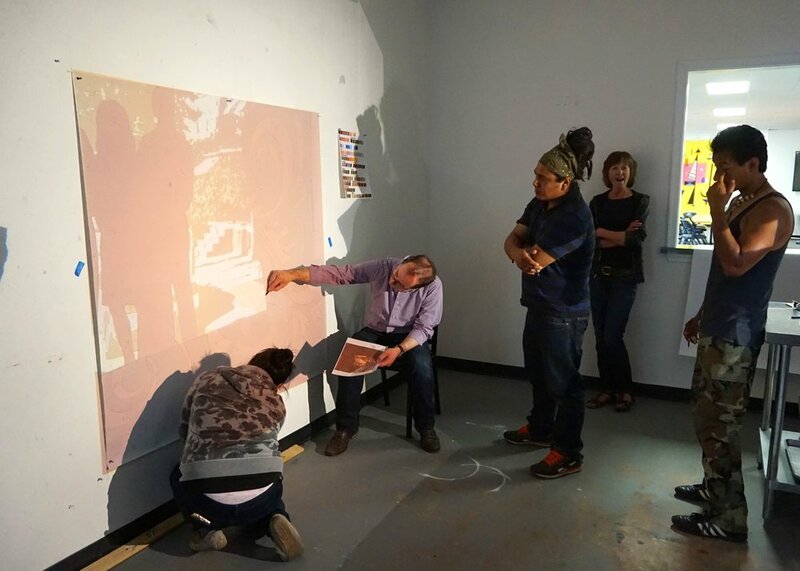 As each project and community has a unique set of needs, Eric will work directly with the stakeholders to map out a process that creates a structure of engagement. 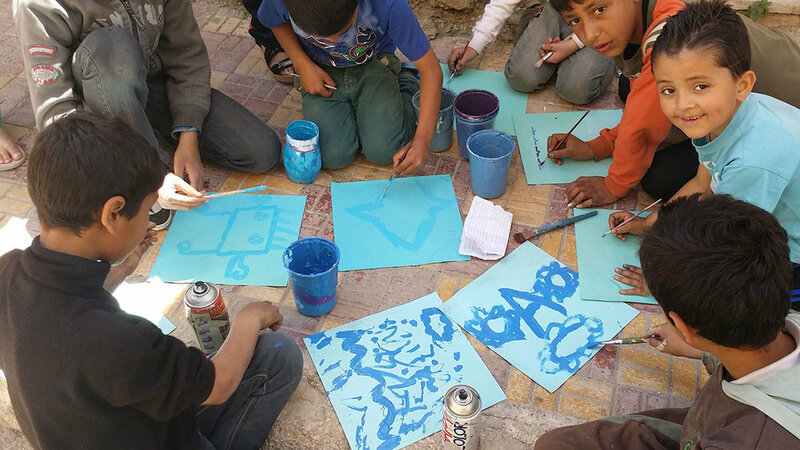 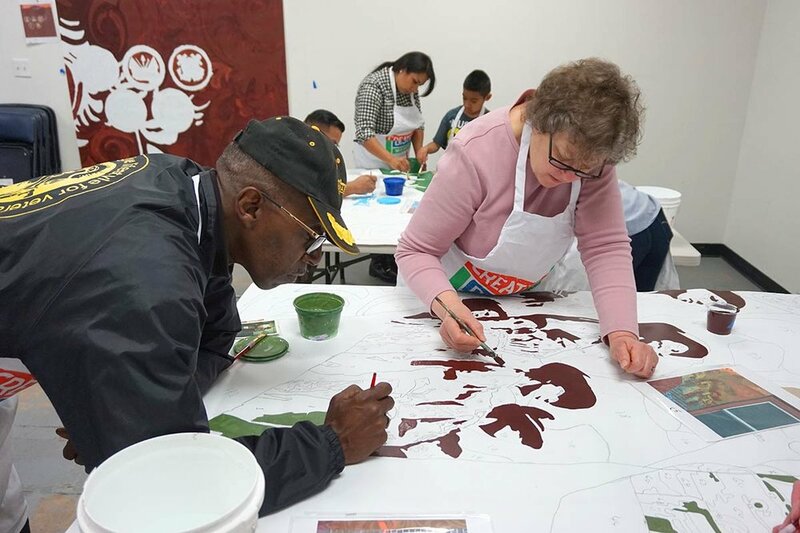 The stories of community become a living part of the final work of art. 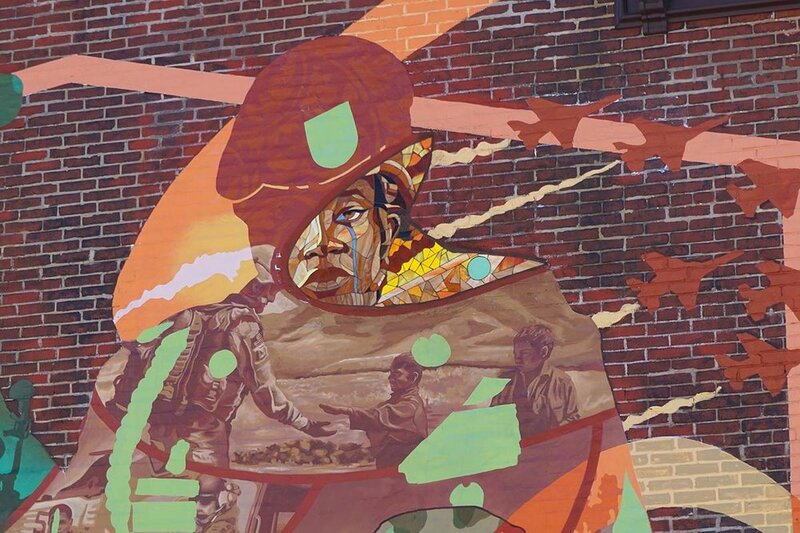 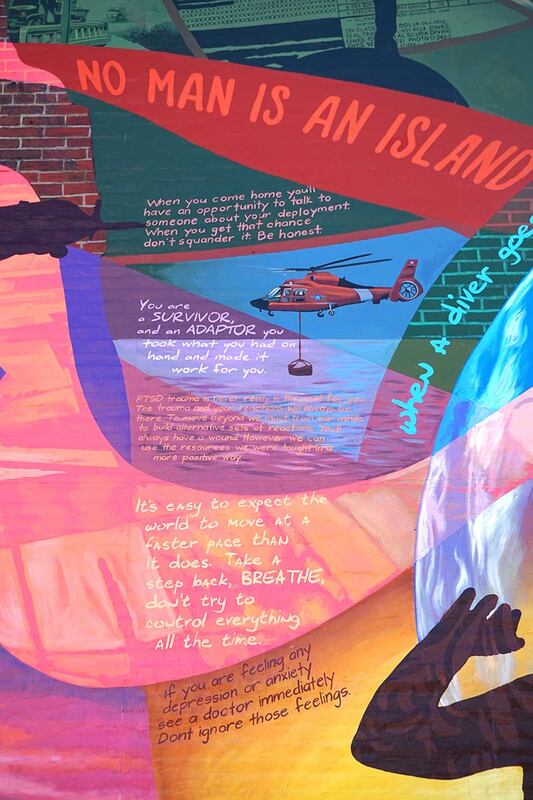 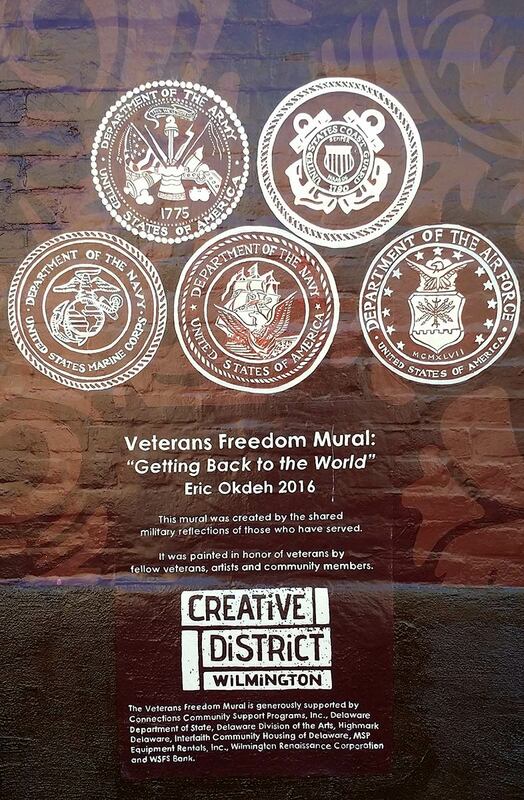 Images in slideshow from Okdeh’s “Getting Back to the World” Veterans’ Mural completed in Wilmington, Delaware in 2016. 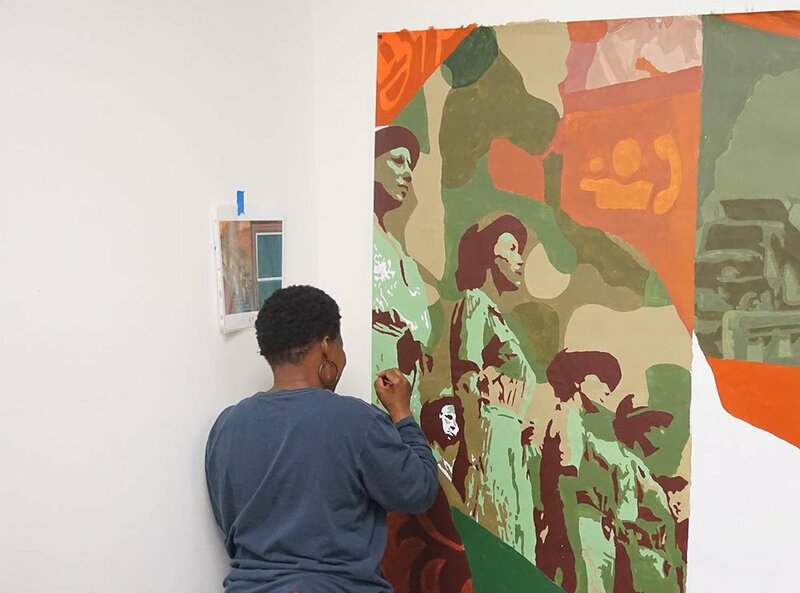 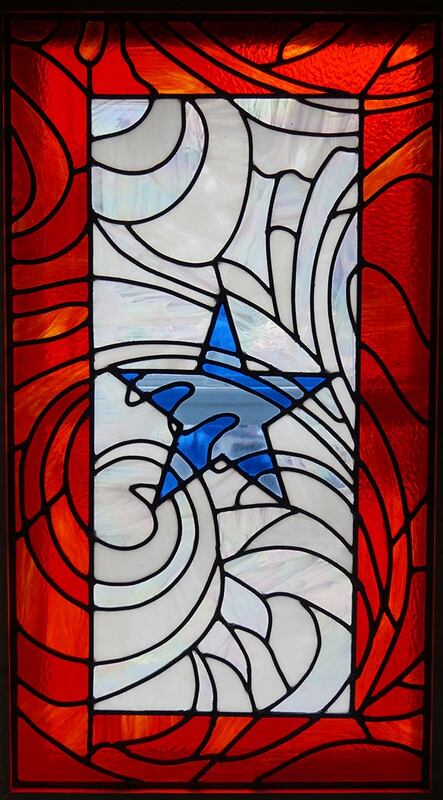 The project was a multimedia piece done in conjunction with veterans on the mural site in temporary housing, and local veterans of the greater Wilmington area. 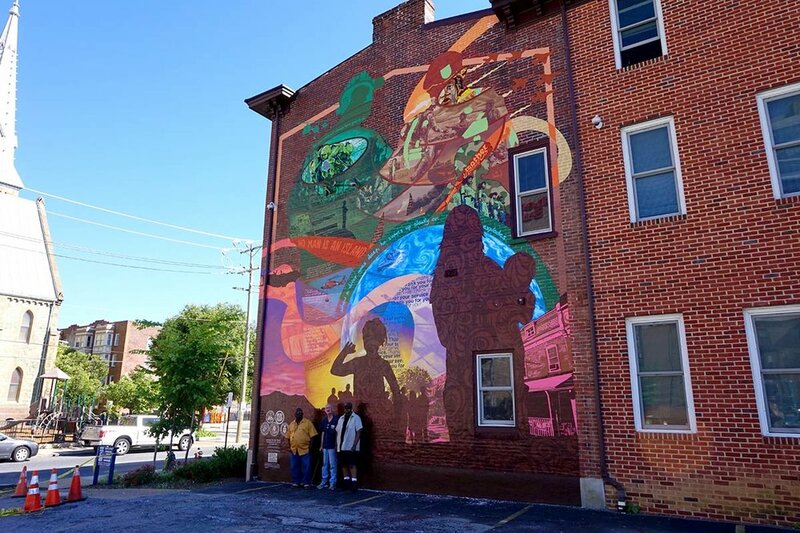 The project was the pilot community mural project for the Wilmington Renaissance Corporation, and doubled as a means for consulting with and training local artists to do their own work in the city. 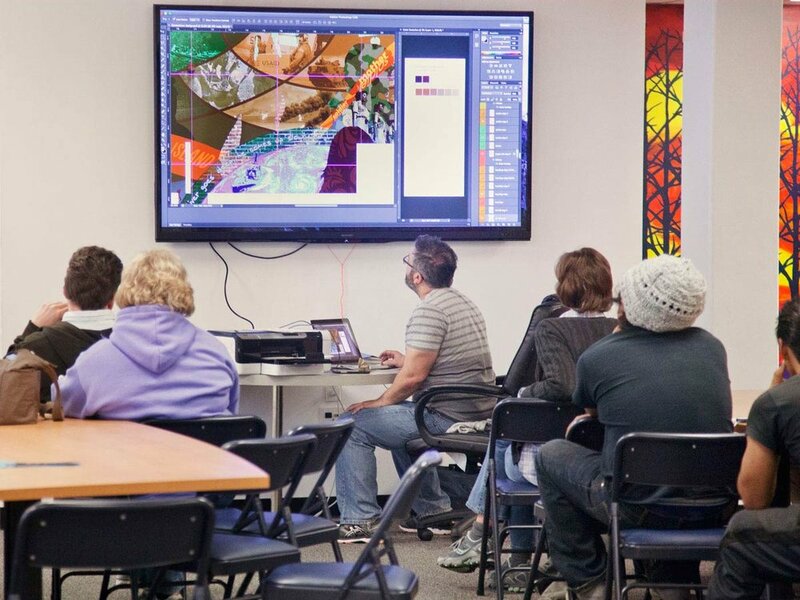 Public information gathering session for a mural design.